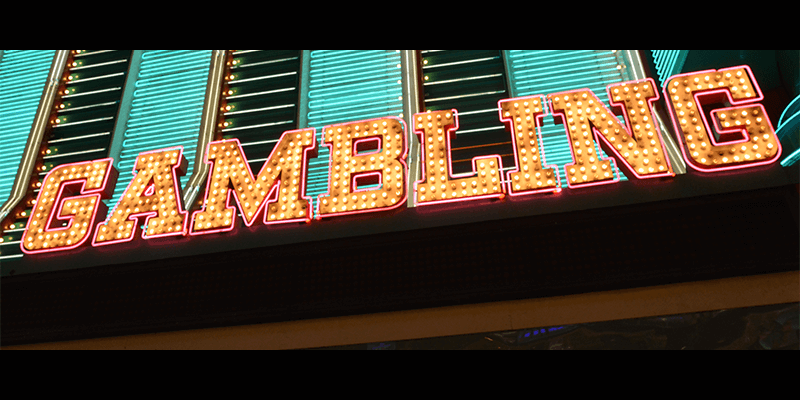 If you decide that online casino gambling is something for you, then there are a few rules that you should try to follow, or put differently. And even though these ‘How to…’ pages are already jam-packed with all the do’s and don’ts of online casino gambling, we would like to put a bit more emphasis on what NOT to do and give some valuable tips regarding screenshots and how to video record and broadcast your online gambling session. One or two of these ‘don’ts’ may seem pretty obvious but they are all valid points, so worth pointing out, particularly to the more inexperienced player. We strongly recommend you to take the necessary time to read through the personal tips of our Casinomeister Forum members and do your best to abide by them once you start playing. Don’t break the law: Some countries / states don’t allow you to play online casinos and those that do have a minimum age limit which varies between 18 and 21. It’s essential for you to know what age your country allows. Because even if you decide to take the risk and hope that you won’t get caught, online casino security checks will spot the problem when you cashout out. They may not be able to pay you by law. Don’t always take the Signup Bonus: As mentioned in detail in the casino Bonuses section, Bonuses usually come with complicated T&C’s attached and these often give the player very little chance of cashing out from their first deposit. Check the casino website “Promotions” pages for T&C’s and if you decide not to play with the Bonus, check to see if it is credited automatically on your first deposit (Playtech casinos and some Microgaming) casinos do this. If this happens, you should email the casino support team and tell them you don’t want the Bonus before you deposit (and wait for a response!). Or find another casino! Don’t open multiple accounts from one household: It’s amazing how many players try to scam extra Bonuses by faking new accounts. Please keep in mind that the online casinos are more than capable to see through this little trick. The downside is that two people from the same household wishing to play the same casino will likely raise warning flags at the casino. If you need to do this, email the online casino first and ask them for permission. Don’t open an account unless you have photo ID: If you ever win a decent amount, most casinos will ask you for proof of ID which will include a piece of Photo ID. If you don’t have this, and at least one other document with your name and address on, then don’t bother playing until you do. Don’t play a casino because of its Bonus offer: Unless you know it well. There are lots of poorly legislated casinos out there and scammers who spam away trying to get people to deposit, if only for their Credit Card info. Be careful and stick to casinos you see recommended by trusted sources like Casinomeister. Don’t play strategy games if you don’t know the strategy: Or you’ll lose. Simple as that. Sometimes you will find promotions or online contests for which you are requested to post your highest multiplier. Or you just want to keep an amazing score on record for your personal files or to share with your friends. Either way, you will have to take a screenshot to be able to save an image of your winning. Depending on the computer that you use, there are some easy key shortcuts that come in quite handy! Press the “Print Screen” (PrtScn) key on your keyboard. This will capture an image of your entire screen and copy it to the clipboard. The dimensions of the image will be the same as that of your desktop resolution. The Print screen button in your system can be labeled either as “PrtScn”, “Prnt Scrn” or “Print Scr”. On most desktop keyboards, the button is usually found between F12 and Scroll Lock. On laptop keyboards, you may have to press the Fn or “Function” key to access “Print Screen”. Note that you will not receive any confirmation that the screenshot has been taken. Paste the screenshot if you like. Online casino gaming has become much more social because of forums and chat functionalities. People can share tips, tricks, opinions, feedbacks, discuss, joke around and show off high winnings. If you want, you can even record and share an entire session. Here’s a popular online (free) recording tool, used by most of our Casinomeister forum members, to record and broadcast your online gambling session or save the recording for later. When it comes to broadcasting your online gambling session, you’ll want to give Twitch a try. Twitch allows you to broadcast your gameplay live, embed the stream on your website or blog, share it on social media, and it even comes with a built-in chat room for your viewers. 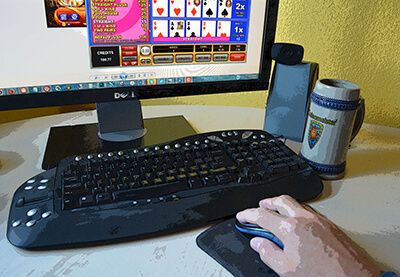 If you want to share your online gambling sessions, this is your first stop. The first time you set up OBS, you may be prompted to change some video settings, depending on your setup. These will be displayed at the bottom of the window in red text. If any of these exist, fix them before moving on. There are many more settings that you can adjust here based on your video needs. In the dropdown at the top of the next dialog box, choose the window of your game. Click “OK”. When you’re ready to begin broadcasting, click “Start Streaming”.